Formed in 2015, by Luca Cimarusti (drums), Michael John Grant (bass), and Michael Vallera (guitar, voice) the band’s music is a fusion of minimalism, drone, and punk. At once meditative and aggressive, it both embodies and expands on their hometown’s predilection for elemental repetition and punishing volume. In addition to Luggage, Vallera performs with percussionist Steven Hess in the duo Cleared and alsio releases atmospheric solo recordings through Denovali Records and Opal Tapes under his own name. Cimarusti was a member of Heavy Times and played with Grant in the band Basic Cable. 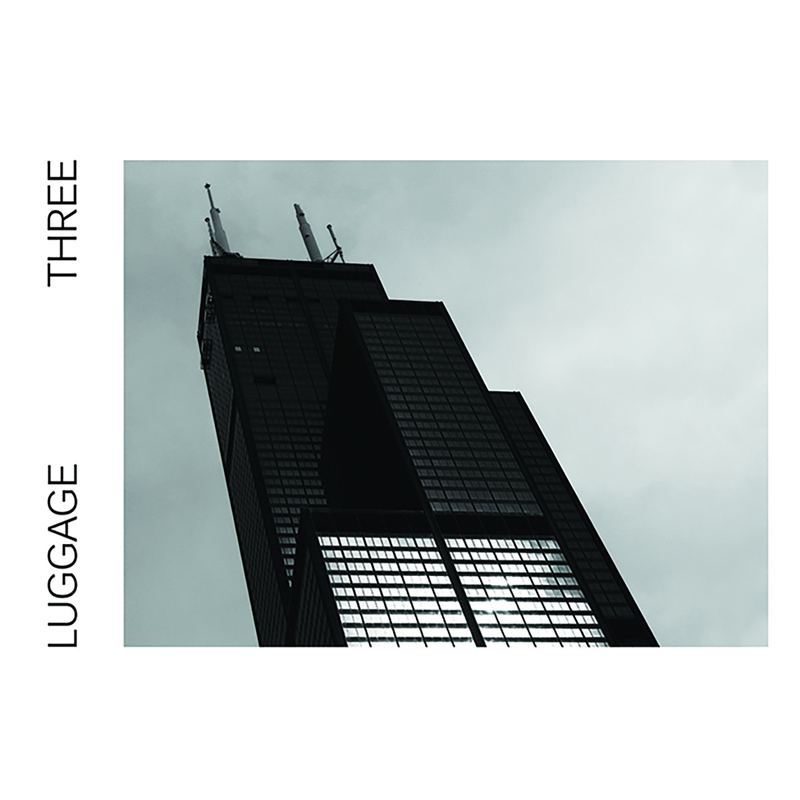 Three was recorded in March of 2017 at Electrical Audio with engineer Matthew Barnhart, who also mixed and mastered the material. The songs were performed live in the studio, with only vocals and a handful of guitars applied as overdubs. The presentation is natural and straightforward — the naked sound of a band in a room. “We’ve always been interested in a path of reduction and this is even further down that path. We were feeling inspired by bands like Unwound, Tar, or the early Low records — I guess what you’d call slowcore — where the music actively exposes what everybody is doing.” As a result, the recordings are more nuanced, but also more severe and physical. Sparse, but ultimately greater than the sum of their parts.